Fast Back is a device for the distalization of upper molars, developed through the cooperation of Dr. C. Lanteri and Mr. F. Francolini. The Fast Back device provides a translation movement of the molars using a pre-determined amount of pressure. There is no need for the cooperation of the patient thus maintaining a good anchorage control. The principle of the Fast Back distalization process is based on the compression of a MEMORIA® coil spring, available either in 200 g or 300 g, which exerts a constant force on the molar. 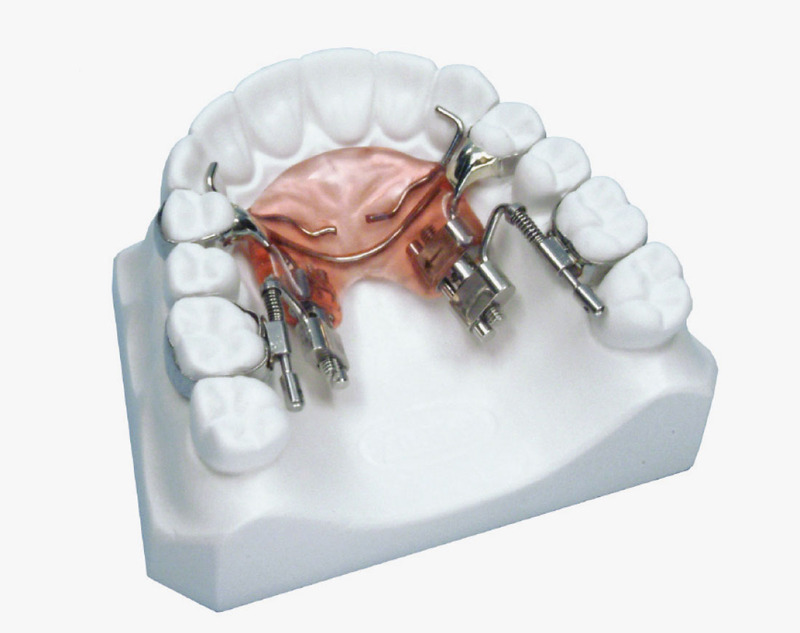 The spring can be re-activated each month through the expansion of the screws in the device. The tube pre welded on the molar band, enables the screw arm to slide smoothly with total control of the direction of distalisation. The Fast Back kit contains all the elements needed for the construction of a bilateral Fast Back device.